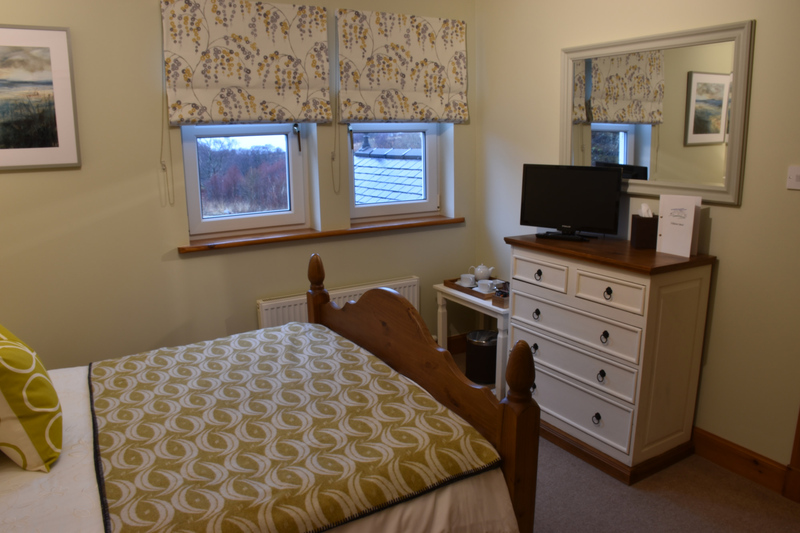 Staffa is a Double Room which is located on the First Floor (which is for Guests only) at the back of the house over looking the small valley in which we sit to the Sea. 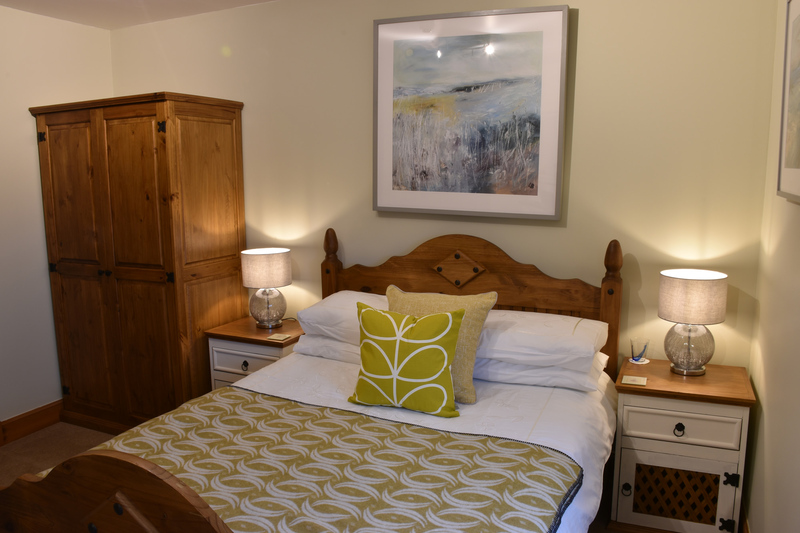 Staffa has one Double Bed with a Bedside Table with a Bedside Lamp on each side. A Chest of Drawers and a Wardrobe are also available for your use. Staffa has two widows each of which has a Roman Blind with a blackout lining. Staffa has it’s own en-suite Bathroom which includes a WC, Sink and a Walk-in-Shower. 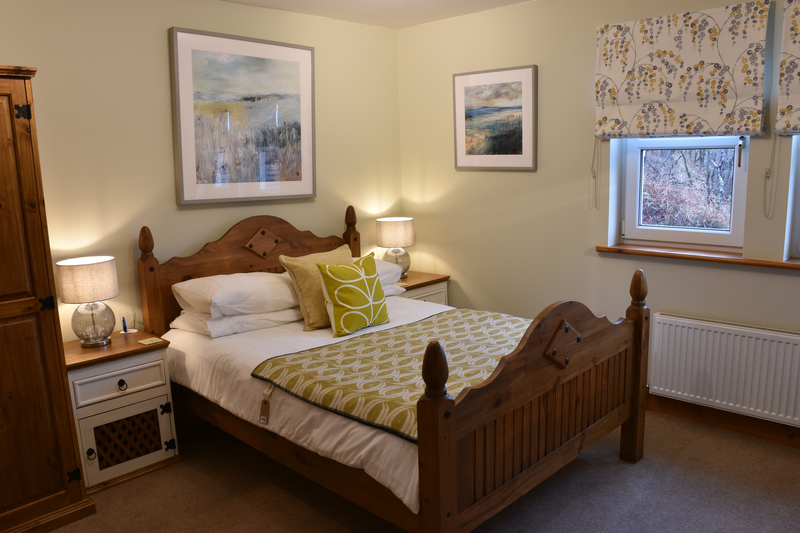 We have found and decorated our rooms with a select number of prints from the Scottish artist Lesley Birch. Tea and Coffee are available as refreshments along with Fresh Milk and delicious Highland Biscuits. The refreshments are replenished when we service your room an a daily basis and if you run out, more are readily available upon request. We will also provide a chilled bottle of our own Spring Water for each Guest which will be replenished on a daily basis. 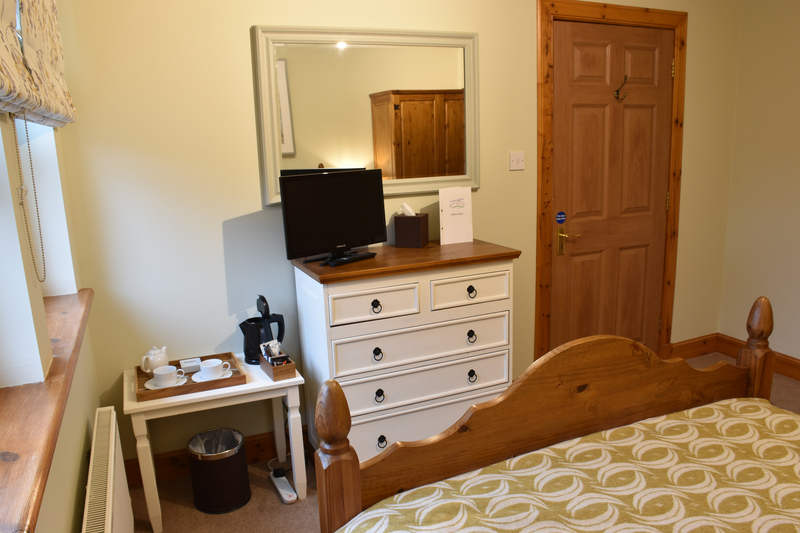 There is a Television in each room with a selection of Free View TV Channels, DAB Radio and features such as iPlayer along with an Apple TV with access to over 200 Films that you may choose to watch. WiFi is available in all rooms and throughout Killoran House. There is a Killoran Guest network which does not require a password. Our Guest Lounge is available for all of our guests to use through which can be found our Guest Balcony. Your room will be serviced daily. If you would like to make a Reservation, or to check availability, you can call us on +44 (0)1688 400362, email us at enquiries@killoranhouse.co.uk or the best way is to Book Online using our live Reservation System.